Seward used eight pitchers and all of their players in an 8-6 win over Clarendon (30-18) Wednesday for Sophomore Day at Brent Gould Field. Seward led 7-3 after six innings and held on for the win. Tyler Hill was 4-4 with five RBI’s. JT Bean went 2-3 with a double. Jose Gonzalez, Ethan Adams, Ty Thomas, Paul Pulley, and Tyler Hill pitched scoreless innings before Willie Gustin came on for a scoreless ninth for the save. 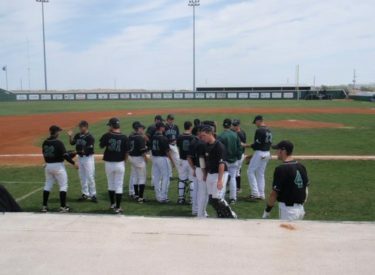 Seward has won 12 of their last 14 games and stands at 34-17 overall. Seward plays at Pratt (20-26, 5-19) Friday and Saturday at 1 p.m. The games Friday are on kscbnews.net only and air Saturday on Talkradio 1270 and kscbnews.net.